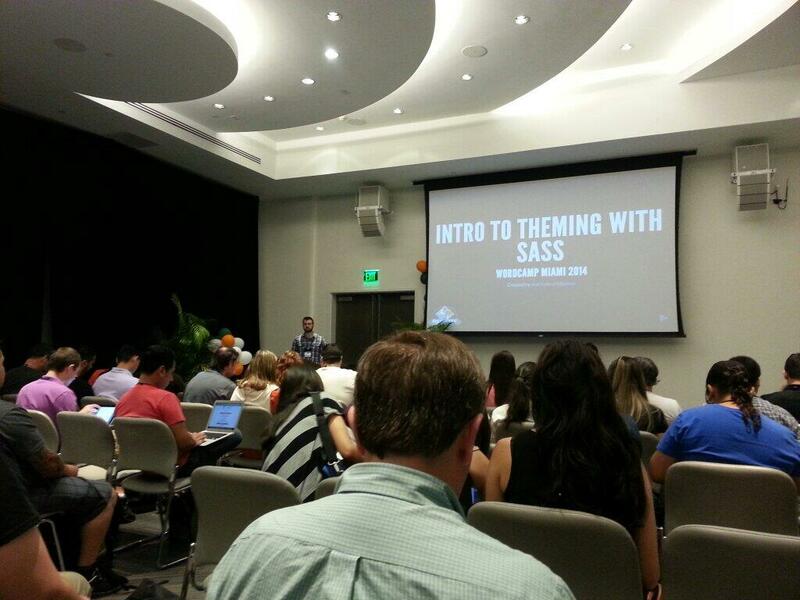 Back in May, I had the honor of speaking at WordCamp Miami about Sass. The goal of the talk was to introduce CSS preprocessors, and Sass in particular and give some examples as to how Sass can be useful for WordPress theme developers. This was only the second WordCamp I’ve ever attended–WordCamp San Francisco 2013 being the first–and my first time presenting. I hope I never see the video. 🙂 It was a great experience and I’m looking forward to my next chance to help spread some WordPress knowledge.